Getting a violin to produce just one note that is pleasing to the ear can take much longer than most people anticipate. This comes at no surprise considering the number of things that a beginner needs to keep track of while learning to play. Arm and hand postures that don’t come naturally need to remain in check, all while learning precise control of muscles that you never knew you had. Trust me when I say that it’s a step above patting your head and rubbing your tummy at the same time. Being out of alignment in just one area can really hamper progress and cause frustration. If a beginner doesn’t have the right motivation to keep going they may be tempted to feel overwhelmed and quit. Compare the violin to many popular instruments like the guitar or piano and you can see why advanced level violin players are much harder to come by. I’m not saying that mastery of the violin is harder than other instruments but that the journey or learning curve for a violin student looks much different than it does for others. How did I stay motivated? Well if I’m honest, at the early stages of my violin endeavours I didn’t. My mom pressured me into practising knowing that I lacked the patience and discipline. Later on my love for the violin grew sufficiently to make me practice on my own…well sort of. 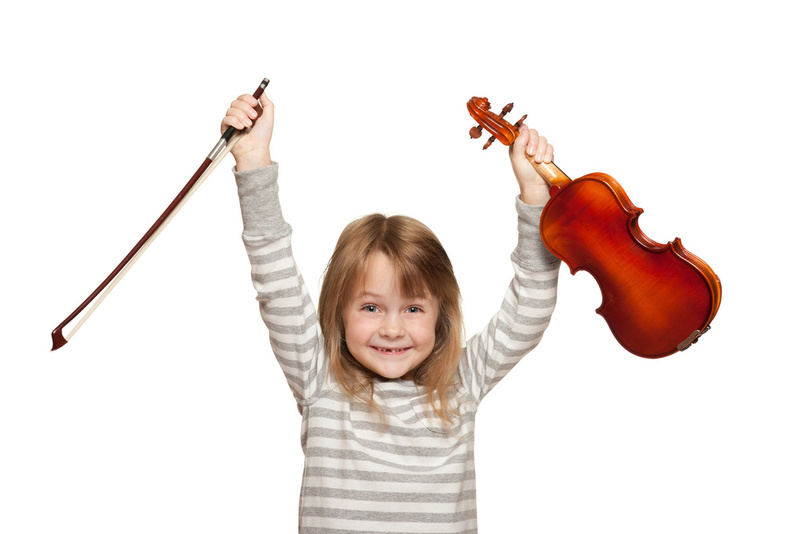 Without further ado, here are 5 ways you can keep motivated while learning the violin. Find a teacher. family member, or friend that encourages you. No matter how you go about things, getting consistent encouragement from another person always has impact. Keep in mind there has to be a balance between encouragement and reality checks. All encouragement and no discipline is probably not good for progress. Play and practice with others that are at your level. This has the effect of bringing you down to earth where you can set realistic expectations on yourself. You will appreciate the amount of work that you and your fellow peers exert to accomplish your goals and even better, be appreciated by others. Find and listen to others who you aspire to. What was it that made you pick up the violin from the start? Listening to those you love hearing helps you to set long-term goals, a very important part of your motivation. This includes everything from watching on-line videos to going to concerts and festivals. Choose the right music. You don’t always have to stick to the plan. Be adventurous and try different songs or even styles that peak your curiosity. The fun multiplies in this area when you have others willing to venture off with you. Play spontaneously. What if you could play along on the violin with your favourite song on the radio? How fun would that be! You probably don’t hear this much but playing spontaneously is the motivator that I am most passionate about. Learning to play what’s on the page in front of you is great but playing whatever comes into your head in a moment of inspiration yields more benefits than most people seem to realize. From my experience the practice of spontaneous playing strengthens your ability to play written music especially in the realm of interpretation. It’s probably easier than you may think with the right instruction and environment. Like every other aspect of learning an instrument, learning to play by ear doesn’t just happen without practice. It takes patience, but in time the rewards will come. These are my tips on keeping motivated while learning to play the violin. How do you stay motivated? please feel free to comment below.